Brand new Transatlantyk release contains elusive synth works of Sasha Zakrevska aka Poly Chain. She likes to call herself 'a Ukrainian ambient chavette' and the title of her debut album is a tongue-in-cheek spin on the Eno's classic. 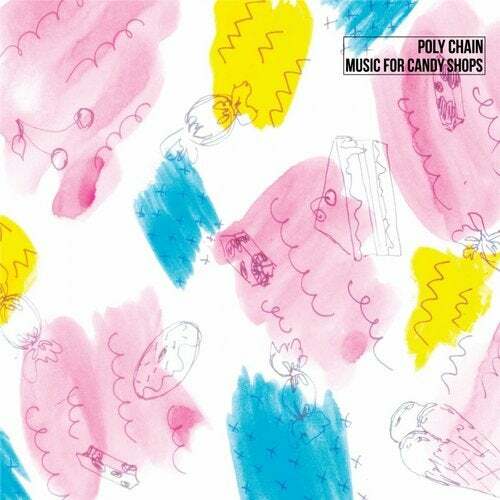 'Music For Candy Shop' is much more sticky and syrupy than its famous predecessor though. In every track on this record Poly Chain's rich and warm synth textures are glazed with another layer of radioactive sweeting. From atonal melodies on top to occasional spicing in form of odd reverbs, delays and drum sounds - it's all there. Let me tell you straight up: this candy shop serves some weird sort of sweets, inducing hallucinations, anxious feelings of omniscience and transcendency. Use with caution!